Born in Fiji, the former Australian rugby sevens junior representative was a member of Collingwood’s Next Generation Academy. The former Oakleigh Chargers midfielder/forward is a busy, compact player with speed, hardness, sharp attacking and defensive skills and good goal-sense. Kicked four second-half goals in the TAC Cup elimination final victory. 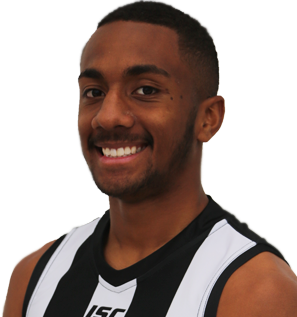 Draft history: 2018 NAB AFL Draft Next Generation Academy selection (Collingwood) No. 77 overall.